The 25th anniversary of Urban Outreach was recently celebrated in style at the home of Bolton Wanderers FC. On the evening of 23rd September the Premier Suite was filled with hundreds of staff, friends and supporters who had been involved with the charity since it was established in 1990 for a service of celebration. The service, which was attended by the Mayor of Bolton, Cllr Carole Swarbrick was hosted by the Bishop of Bolton the Rt Reverend Chris Edmondson and his wife Susan – in a “chat show” style. Guests were treated to a photographic history of the charity – including lots of photos with embarrassing clothing and hairstyles! 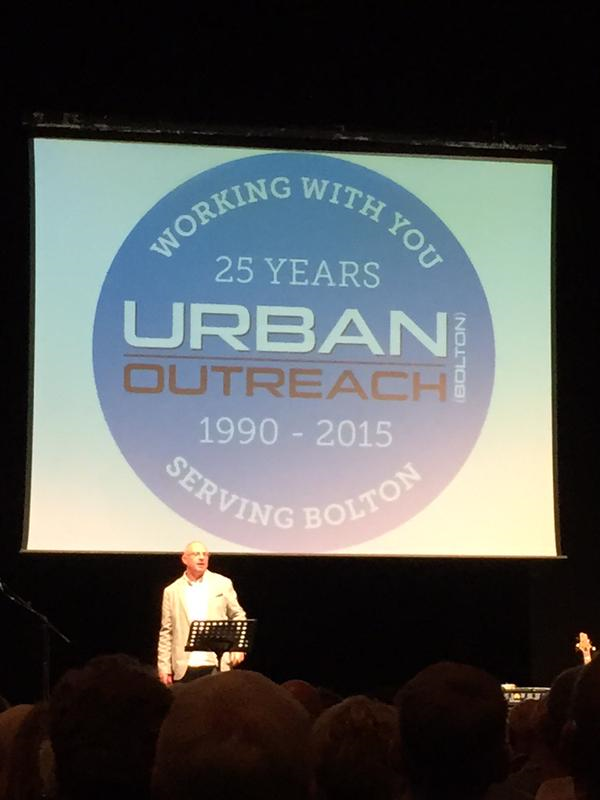 Other contributions to the service came from Phil Mason (BWFC Chaplain) who led prayers for the current Urban Outreach staff, BOOM dance group, and a music band made up of people from different church fellowships in Bolton.